High School football has become quite the attraction and we couldn't let it flourish without being a huge part of it, literally! 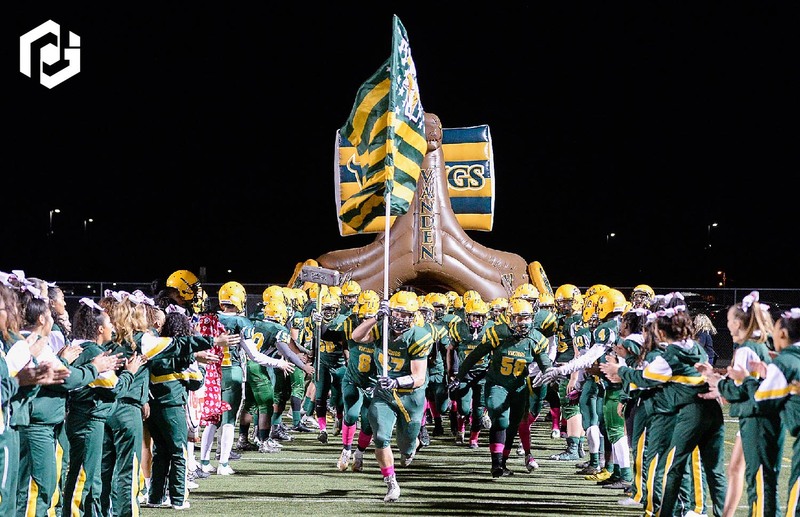 The Vanden high school football team needed to make a grand entrance and we worked with them in the development of a large inflatable tunnel. The theme? None other than Vikings! They are the Vanden Vikings after all. 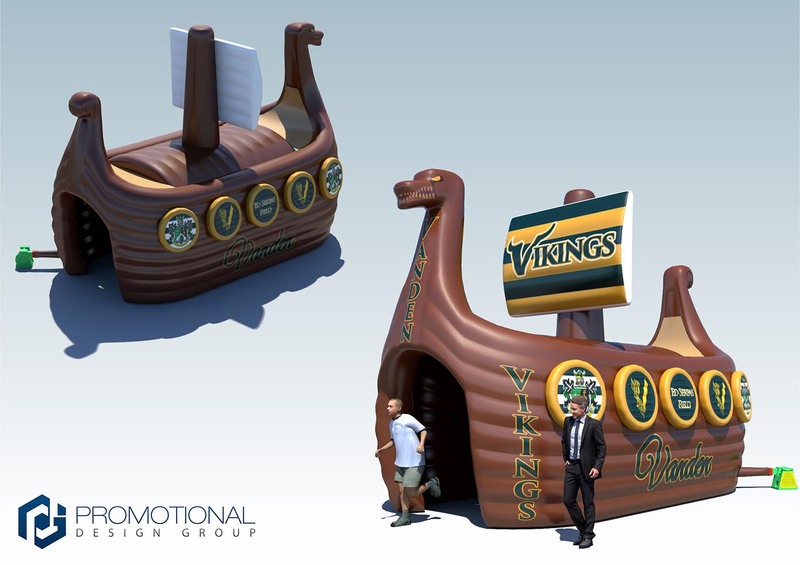 We designed a 25 foot long boat with a tunnel caving down the middle where they can charge onto the stadium through. The result? Well, as the image above shows, it was spectacular! How was the tunnel made? Upon contacting us we will quote you, provide ideas and even create a free rendering mock up. When you tell us what you're looking for we relay that info to our design department and they sketch and model your instructions and create a 3-D rendering. We then send the rendering back to you and should any changes in color, size or shape arise we'll make the necessary changes to the mock up until you are happy with what you see. Once we are ready to being production our in house design team works with our production department hand in hand manufacture everything exactly the way it is laid out in the rendering. The entire manufacturing process is done in house so we are able to then produce the promotional product in a matter of days or weeks(depending on the complexity) instead of months. This specific inflatable is not something we had manufactured before. It was a completely customized project from scratch. The inflatable shape was completely unique. The color patterns were based on their school colors. The final size on the inflatable was 25 feet long by 18 feet high with a 13 foot width. If you need an inflatable, that you have never seen before, let us know. We could most likely manufacture it even if its a project we've never tackled before.